Great news everyone—our latest flavour is Key Lime! Rumour (aka Wikipedia) has it that key lime pies actually originated just off the Florida Keys on the boats of sponge fishermen, early in the 20th century. On the sea for days, the fishermen would typically have supplies like condensed milk, key limes, and eggs. But they didn't have ovens, and the neat thing about key lime pie is that it technically doesn't need cooking because of a reaction between the acidity in lime juice and condensed milk. 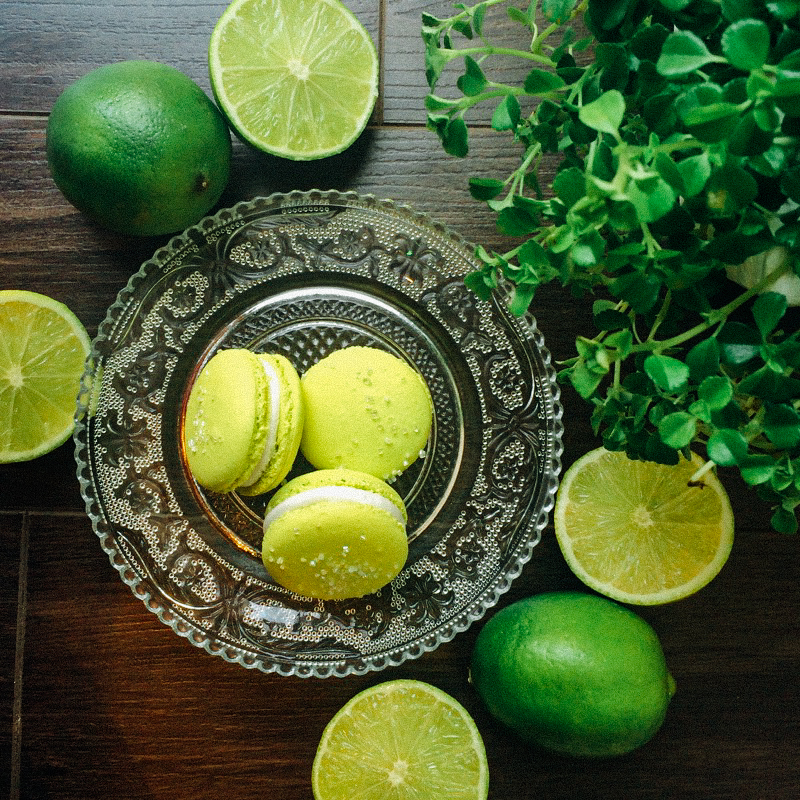 Most versions today are cooked, though, as are our Key Lime Macarons!